for $369,900 with 3 bedrooms and 2 full baths. This 1,588 square foot condo was built in 1980 on a lot size of 0.07 Acre(s). BIG PRICE REDUCTION . DIRECT OCEAN, beachside bargain, floating above the pool, beach and ocean.What a view! MUST SEE! Low priced condo, low HOA fees, low real estate taxes in a guard gated 13 acre oceanfront complex in cocoa Beach, Fl. Immaculate 3 bed/2 bath(1738 total sq ft), 1 car garage, balcony, new A/C in 2017, electric storm shutters. 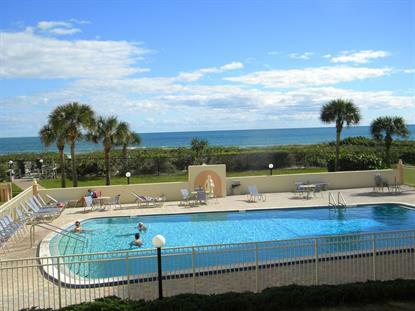 Stonewoods offers heated oceanfront pool, tennis, hot tub, work out and club house and more! Want an active social life? IT IS HERE!Location, location closest beach to Orlando, 1.5 hr to Disney, 50 min to airport, 15 min to Port Canaveral/ Cruise ships to Bahamas and on. Come on down to this small town barrier island community for your casual Florida lifestyle. Opportunity is knocking OPEN THE DOOR! Live on the ocean at a reasonable price! Contact Mary G at or for your private tour!